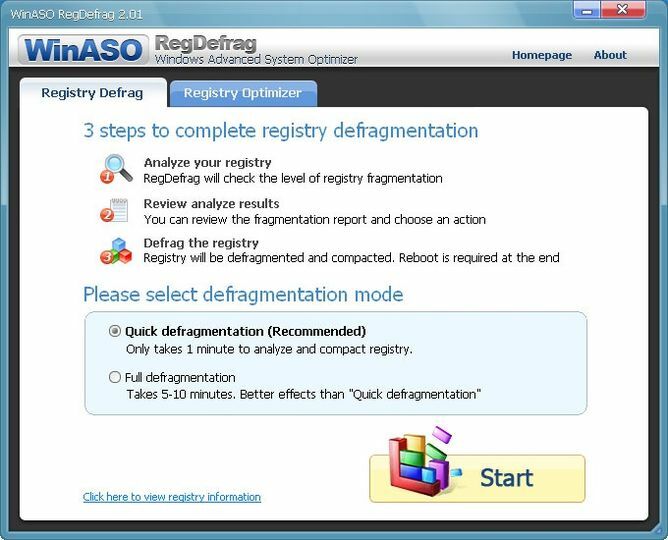 WinASO RegDefrag is a tool that claims to defragment the Windows registry and improve performance. What it means by that is not exactly clear because you cannot defragment the registry hives while the operating system is running live. The system won't allow you to do so. However, the tool is free so there's no harm in trying it out.